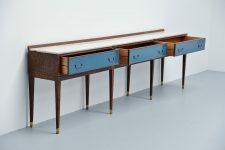 Fantastic nice and long drawer console sideboard made by unknown designer or manufacturer, Italy 1940. 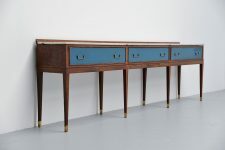 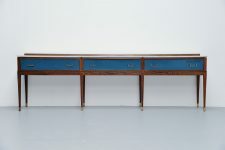 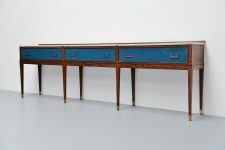 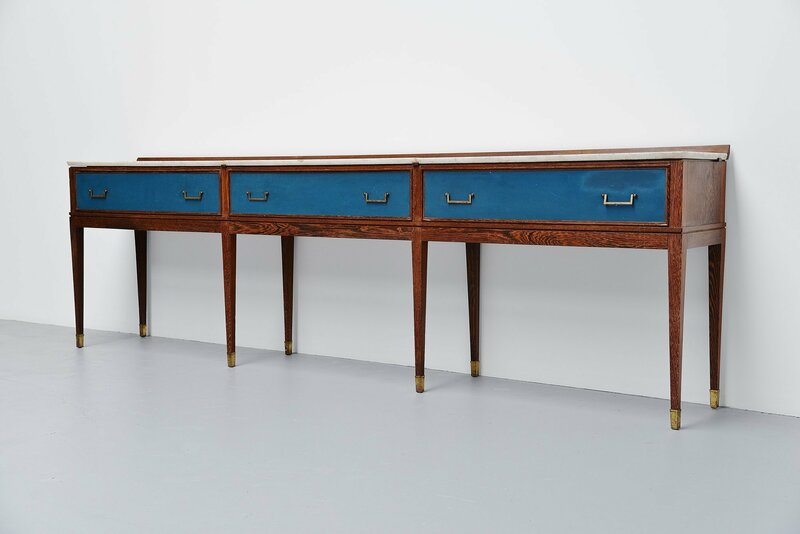 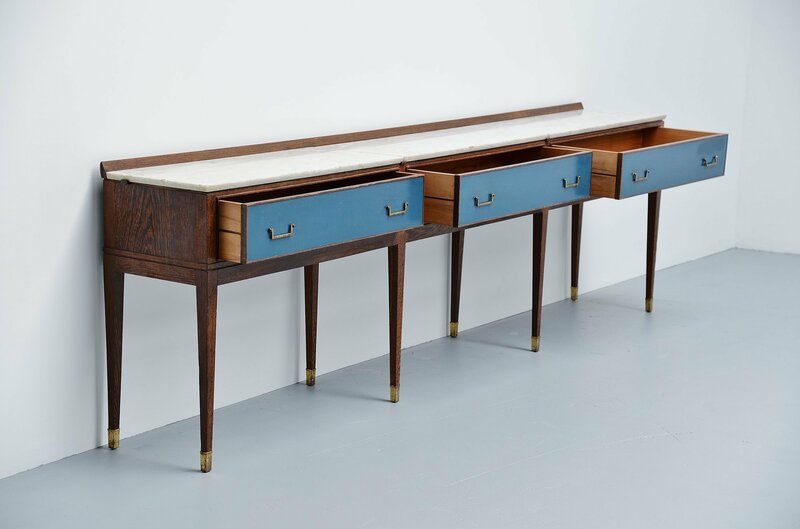 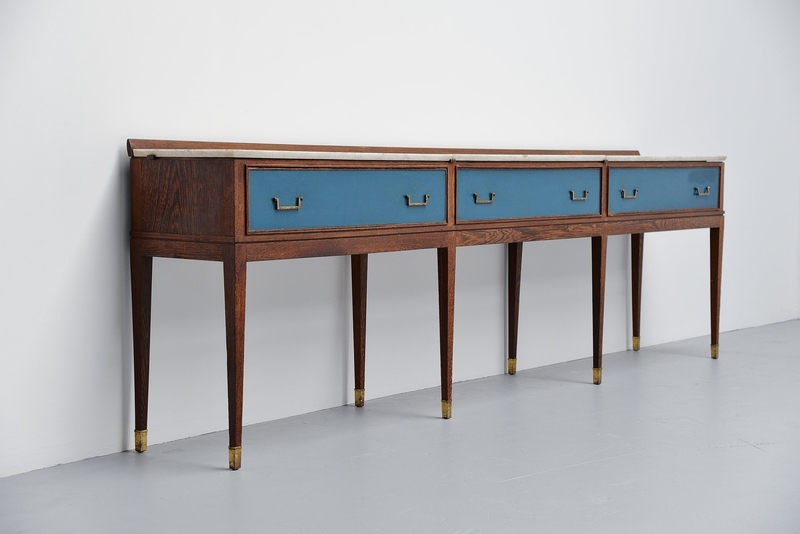 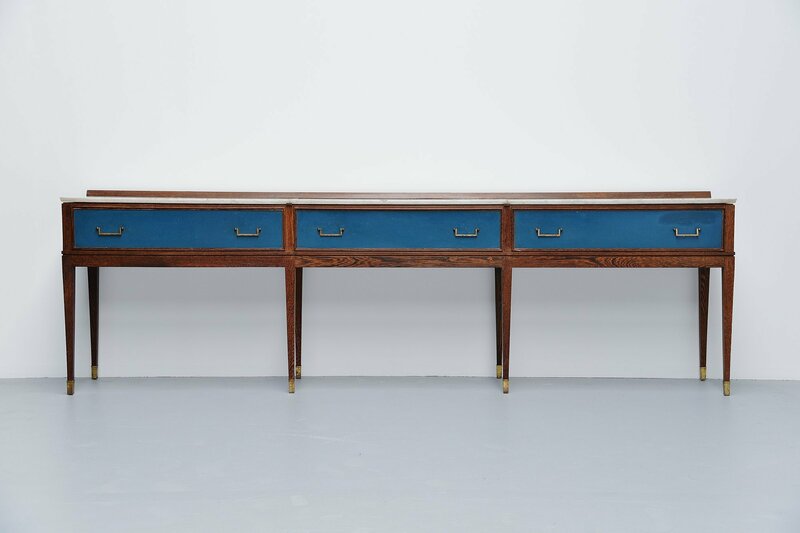 The cabinet is made of wenge wood and has blue painted drawers with brass handles. 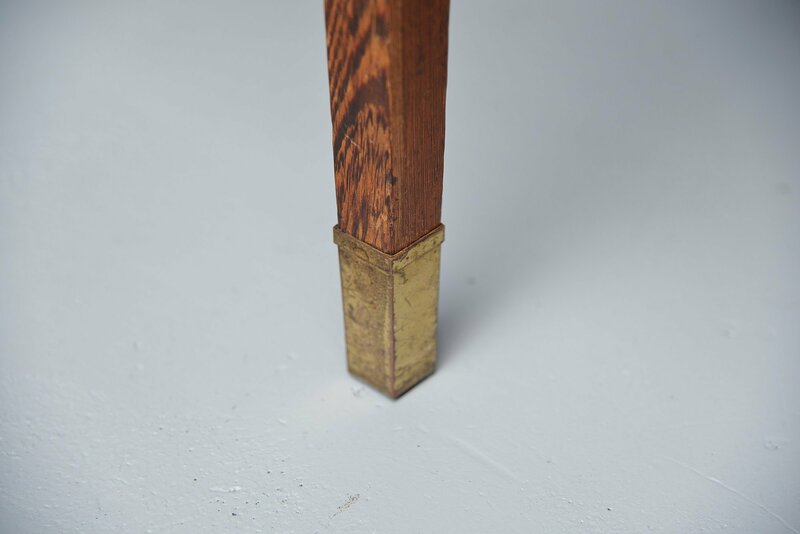 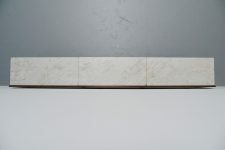 The top is made of white carrara marble and the feet are also in brass. 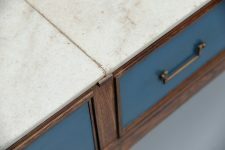 This is a very nice and refined piece of Italian design, possibly made by a cabinet maker upon request, so could be a unique piece. 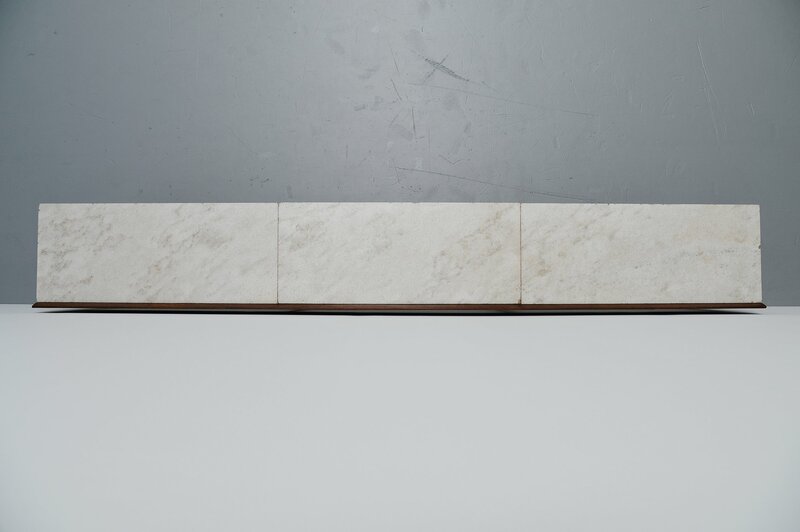 It is in nice original condition with some wear to the marble but for a piece this age there is nothing disturbing to mention and nothing that's not consistant with its age.